Caol Ila is another old faithful on Islay. Everybody knows the scale of production here, yes it’s huge, some say industrial. You know in perusing whisky related content online, I often read reminders (written with a intentional slant) that Caol Ila is tankered off and matured on the mainland. Such reminders often come from persons who have interests in a certain Islay distillery who have been at pains to highlight their ‘handmade’ ‘craft’ ‘100% Islay matured’ spirit. It’s easy to recognize the company line in the voicing of such not-so-honest opinions. The same persons often place their distillery on a pedestal and their disparaging comments on other distilleries shows a lack of industry knowledge. So what if Caol Ila is matured on the mainland. It’s damn fine whisky, full of spirit character. The same cannot be said of the recent product of that Islay distillery that too often relies on flavoured casks and marketing for a product. Special label for the joyous occasion of Ling and Galen’s marriage, which took place err.. 4 years ago.. Whiskyrific is really up to date on things … Also comes in the Auld Alliance’s house label, and was available at the bar .. again 4 years ago.. Nose: Ever had the 18 yo official? This is not it. Still bristling with power and phenols, and none of that ‘gentle peat’ that some attribute to Caol Ila, nor indeed any mellowness it seems. This one is full on classic martime flavours of cleanest crispest sea spray and salt in your nostrils. Sea soaked ropes, even quite some medicinal disinfectant. Salted and preserved lemons. And of course lots of burning coals, white smoke and rooty vegetal peat. Palate: Powerful. Mightily peated with a bucket of medicine. Not a heavy brooding oily style of peat but a rooty vegetal clean black earth sort of peat. A mass of grassy-herbal notes, licorice and bark. Clean malt bins. Roaring sea. Stinging salt. A hint of oily leather. Very immediate and full of presence. So powerful for 17 years. Finish: Long big, salty, white coals and smoke. Nose: Also Caol Ila, but has traded in the power and clarity for a more rounded and mellower profile. The mineral-vegetal notes are much more abundant here: Hot slate, resin, cut grass, and celery smoothie. Along with cracked oak and furniture wax. Some garage notes like soot and cleaned up engine oil in the background. Next to that massive 1995 ,the sea is much more subdued here, and the peat is an earthy tang instead of mountainous. Palate: Quite some thick and oily leather, wax, cold firepits, some preserved lemons and a somewhat dirty brine – why doe these two go so well together? Soot and cold copper, quite medicinal really. Actually develops a louder maritime aspect with some time, and also some thick grimy peat which wasn’t really on the nose. Finish: Long and salty, getting quite dry, with a dirty – maritime thing going. 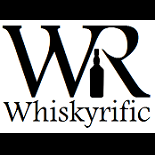 This entry was posted on May 14, 2017 by Whiskyrific in Caol Ila and tagged Caol Ila.